The Christmas cactus blooms profusely indoors in winter after a summer outdoors. Although I love the advent of autumn with its cool temperatures, brilliant leaf colors, crystal blue skies, and harvest festivals, I am never completely mentally ready to let the summer go. For me, nothing signifies the end of summer more than moving my indoor plants from their outdoor summer homes into the house for the winter. It seems like a redundancy, bringing houseplants indoors, but many of us in temperate zones spend summer with at least some of our indoor plants outdoors to give them a growth burst or to enhance outdoor living areas. 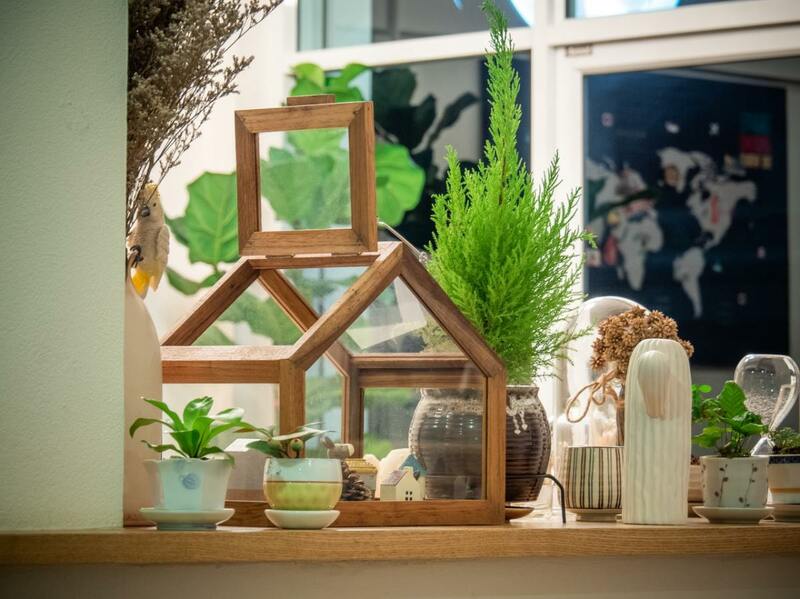 Taking houseplants outside also gives us an opportunity to clean hidden indoor spaces and give our homes a fresh, uncluttered summer look. It's a pleasant change. But as the time to bring houseplants indoors approaches, we need to prepare them and their indoor environment for healthy winter living by lessening the stress that can be caused by the forced migration we impose. 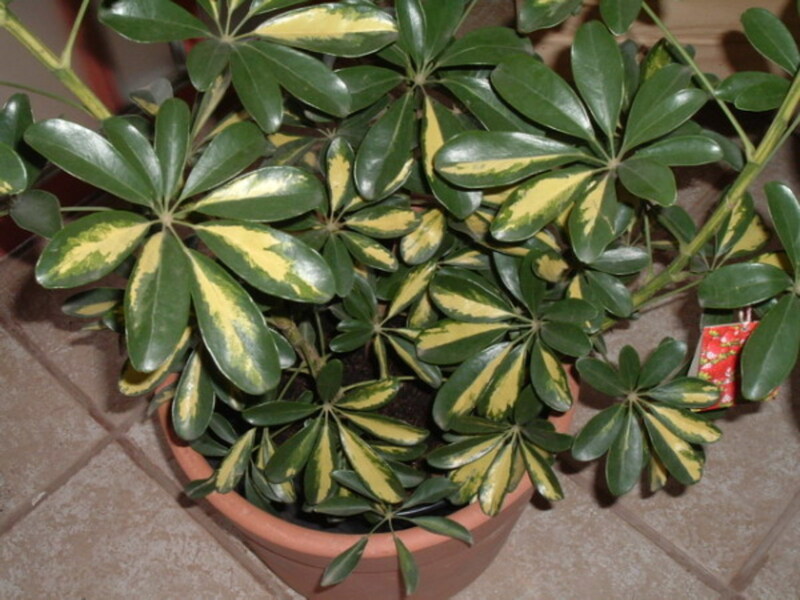 Schefflera thriving indoors in low-light conditions. 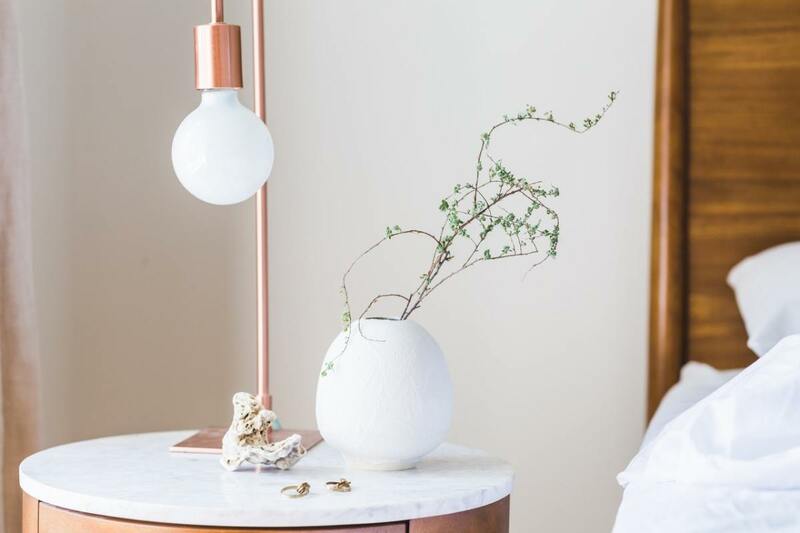 While houseplants have been outdoors for the summer, they've acclimated over several months to certain light, humidity, and temperature conditions. Chances are they’ve received more light and have enjoyed higher humidity than they did indoors. They have also adapted to temperatures that may have been fluctuating as many as 20 degrees between day and night. Having been watered and fed frequently, they have enjoyed a healthy growth spurt, even as the days began to shorten and the weather to cool at the end of the summer season. 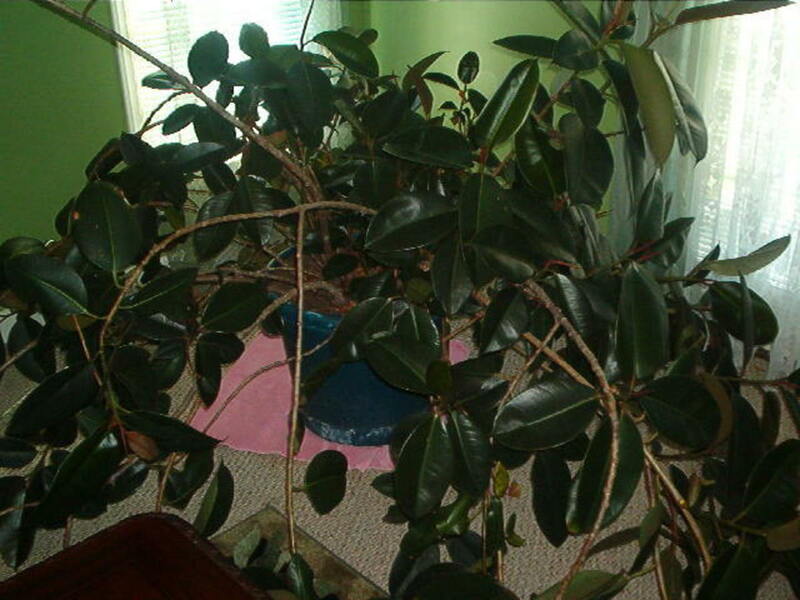 Now, as we bring houseplants indoors, we will be changing their environment drastically in a very short time. They will be experiencing much less light and humidity than they did outdoors, as well as a much smaller fluctuation in day and night temperatures, and we will be reducing the water and plant food they had become accustomed to. In essence, we will be asking them to stop growing and start resting. It’s like asking a speeding freight train to stop on a dime. Despite our best efforts, most houseplants transitioning from the outdoors to the indoors will show, to some degree, stress signs that include yellowing, wilting, parching, or dropping leaves. If the stress is too great, the plants will die. Here are 10 tips for making the transition from a summer outdoors to a winter indoors as stress-free as possible. The spider plant does well in almost any indoor light intensity. Start by taking a micro-environment assessment of the temperature fluctuations in your house. 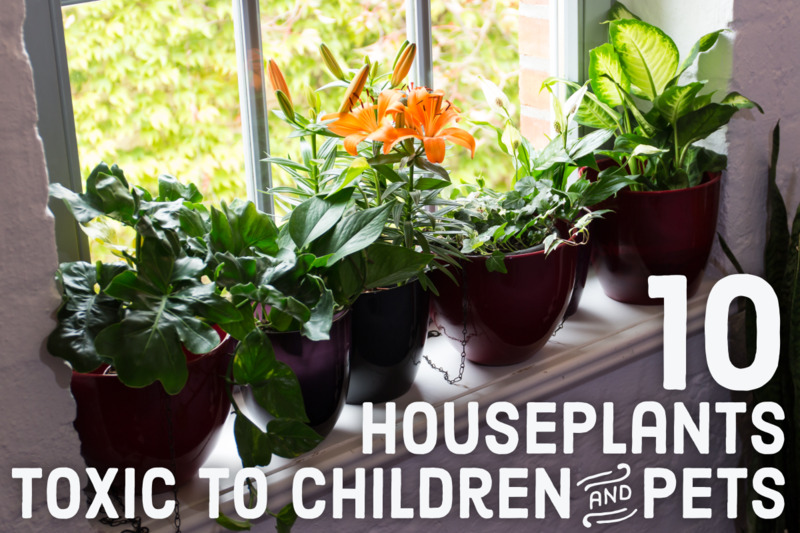 You want to keep plants away from direct cold drafts and hot air vents. You may have to rearrange furniture or acquire tall plant stands and wall or ceiling plant hangers to keep plants away from hot and cold extremes. Prepare to mimic the relative light conditions the plants grew in during the summer. 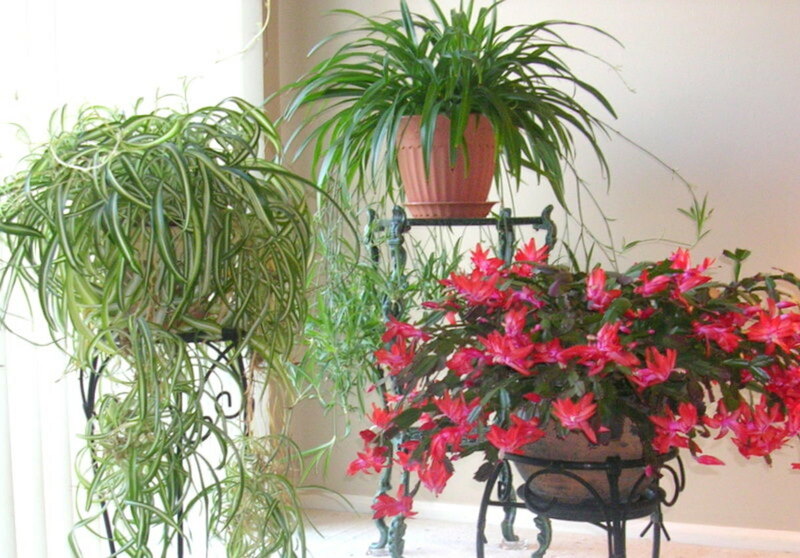 For example, spider plants and Christmas cactus will do better in brighter conditions than those tolerated by low-light lovers like schefflera. Choose a window with a southern exposure for plants that do well in brighter conditions or a window with a northern exposure for those that can do well at lower light levels. If you have pets who like plants, and many do, prepare for putting the plants where pets can’t get at them. Not only don’t you want your plants damaged by curious paws and mouths, you also don’t want your plants to harm your pets. As a precaution, refresh your knowledge of household plants known to be toxic to pets. Keep the plants in the containers they lived in while outdoors. This is not the time to disturb their roots, which would encourage new growth. 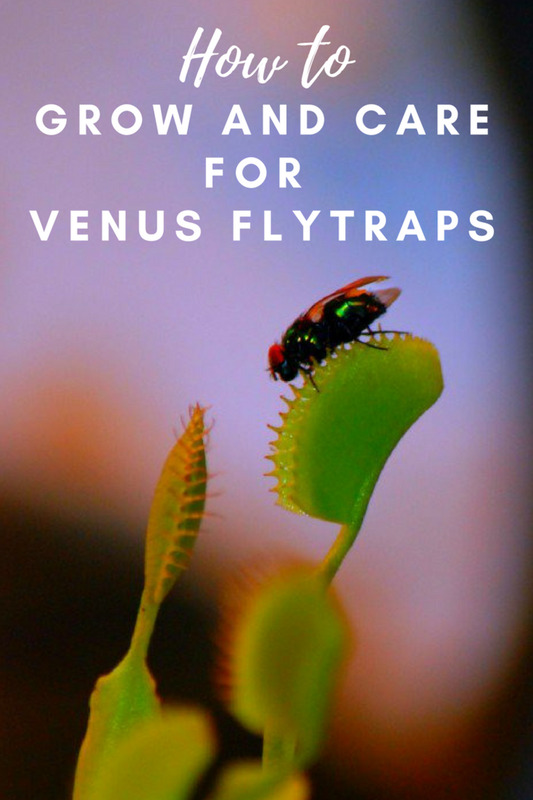 Inspect the leaves, stems, and soil for plant pests and other insects. Remove them by hand or use an organic houseplant insecticidal soap safe for humans and pets. (If you decide to use an insecticidal soap, apply it after the final shower and air drying. See Tip 10 below.) Over the years, I have found some rather fascinating creatures making themselves at home with the houseplants that have summered outdoors. Among them were spiders, ants, earthworms, and wasps. Cut away any dead or damaged leaves and stems, disinfecting your cutting tools, with household bleach followed by a clean water rinse, from one plant to another to avoid infecting a healthy plant. Remove all dead and rotting plant material from the surface of the soil. Refrain from pruning away healthy leaves and stems. Heavy pruning will encourage new growth, just as repotting. Remember that we want the plants to rest, not to embark on a growth spurt. 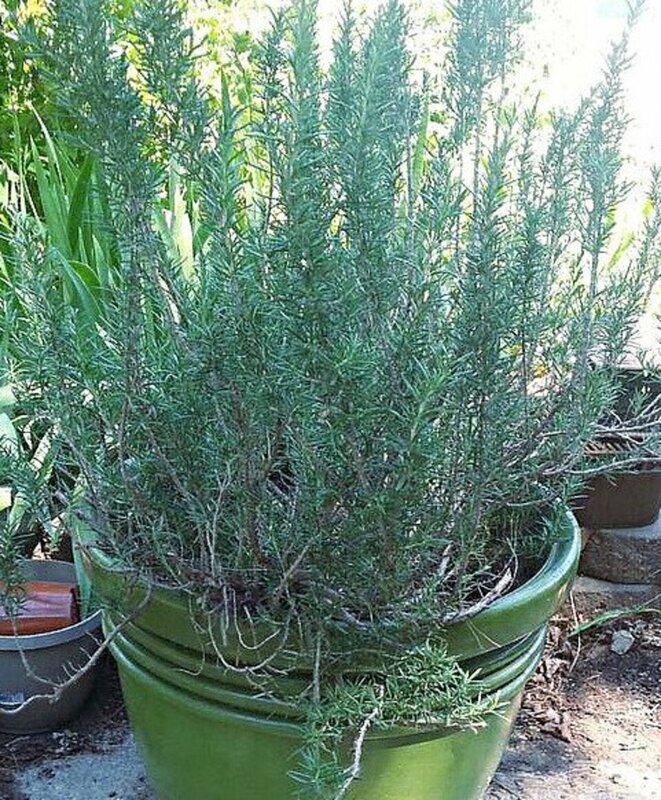 Scrub the outside of the pots thoroughly with a steel wool pad or nylon scouring pad dipped in a mild soap and water solution to remove dirt and mold. Steel wool works well for plain terra cotta pots. For glazed, painted, and plastic pots, stick to a nylon scouring pad to avoid damaging the pot’s finish. If a mold infestation is particularly bad on a plain terra cotta pot, you can add one part household bleach to ten parts of the mild soap and water solution. Just make sure you keep the bleach well away from any of the plant tissue. 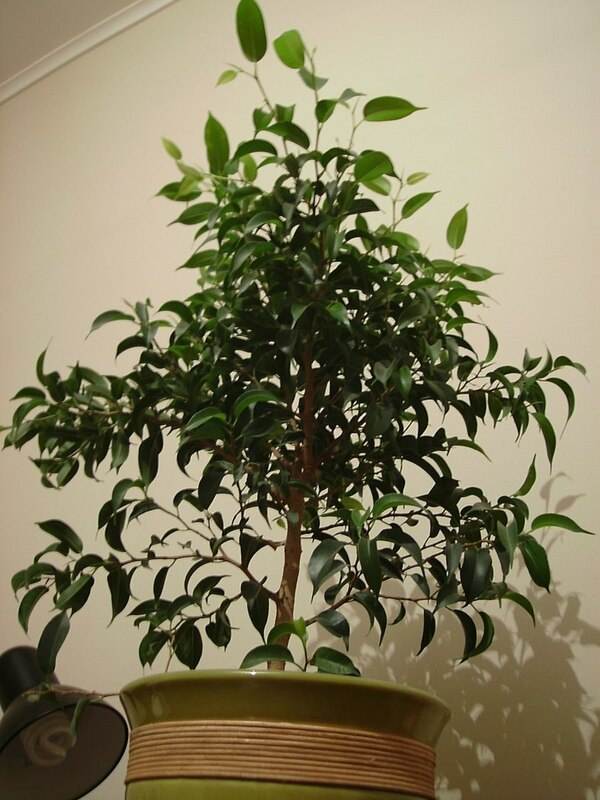 Take the time with larger-leaved plants, such as schefflera and rubber plants, to wipe each leaf clean, top and bottom, with a cotton swab and plain water. Summer dust and pollen remaining on the leaves will further diminish the limited indoor light and prevent the plant from absorbing whatever moisture is in the dry indoor air. Finally, shower each plant thoroughly using a garden hose with a mist or shower attachment. Get underneath the leaves, too. Then let the plants and pots air dry outdoors before bringing them in for their winter rest. 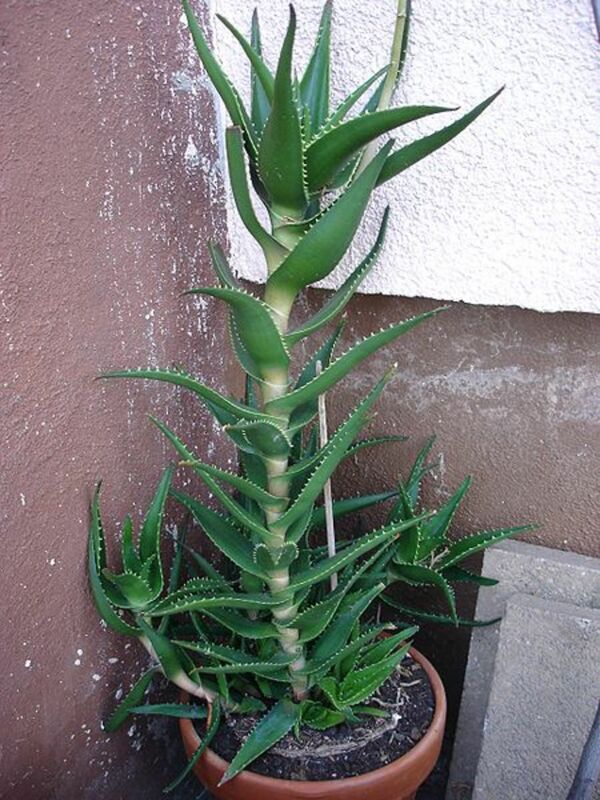 Even though the aloe could use a bigger pot and some pruning, this is not the time for such drastic measures. Give it a bright indoor spot and enjoy its beauty and health benefits. Spring and a new pot will come soon enough. You need to know the average first frost date for your area so that you can migrate your plants from outdoors to indoors before they are damaged or killed. Use Dave’s Garden zip code locator to find the first and last frost dates for your area. Then allow plenty of time to rearrange your house, clean the plants and pots, and bring the houseplants indoors before that date arrives. Washing each leaf of a large-leaved plant helps reduce stress. I have a Chicago hearty fig tree approximately four years old. It has many low "sucker" branches. I'd like to prune and propagate these into new plants. I bring it indoors over the winter. When should I do this? We are leaving Colorado and going to Arizona for the Winter. What do I do with my Christmas cactus? I will have someone coming into the house twice a month. Should they water that often.Thanks! Great information thank very much - What is your thought on heat lamps for winter? I love my plants and have about 40 that need to come indoors. I have limited window space. I also have a small back porch I thought of closing in like a greenhouse and using heat lamps to save from freezing. But as i study info on greenhouses i am seeing that liggt is needed from all 4 sides as well as top. I have all kinds plants from cactus, tropical etc and last year lost all my big cactus. They looked very healthy and then one by one around February they were falling over. Never had this happen before. Any tips wld be wonderful. Hi Sally what a tremendous hub so much outstanding information, excellent photos and videos. I have read two of your fascinating hubs so far but look forward to reading all of them. So nice meeting you and getting to know your work and talent. HI. I am moving in december and my plants will stay on the truck for two days, what can I do? there is someway of protecting them from freezing?. Please, help. Our first frost is just around the corner and we're getting to move some of our house plants into the home or green house. Great tips, and very timely right now. Thanks! Vickie MacDonald, I am sorry that this article was not of use to you. 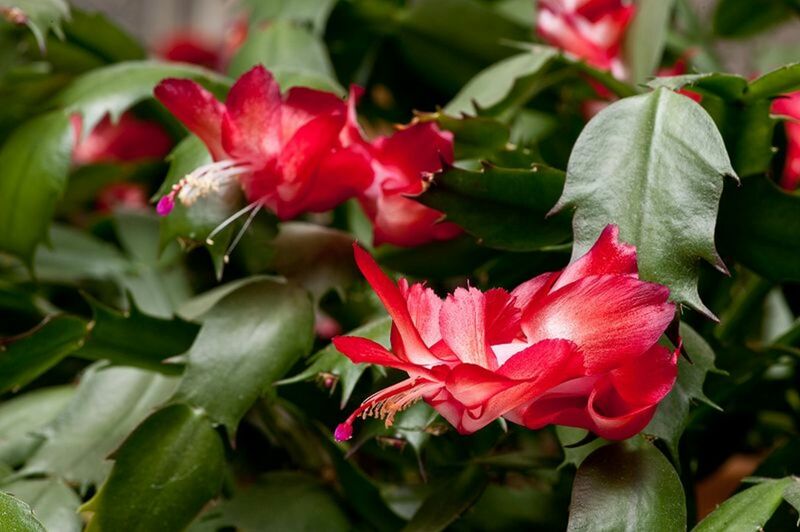 As I'm sure you are aware, Schlumbergera truncata, shown in the above pictures, is commonly called both Crab and Christmas cactus, among other names. But, to your point, Schlumbergera x buckleyi is almost always called Christmas cactus. rebeccamealey, thank you so much for reading and for leaving the good words. Indeed, I am into my plants! Your hub on winterizing plants was full of good tips. I can see you are really into your plants, I enjoyed it, will read it again also. dust2dusk, there's nothing like having fresh herbs in the house, close at hand for snipping. Start small, and see which herbs do the best in which micro-environments in your house. Once you get that info nailed down, you are on your way to bigger and better! Thanks so much for reading and sharing your thoughts. Good tips! Most of our plants stay outside year-round, but your advice on situating plants indoors is still helpful for the kitchen herbs I've been thinking of getting. very helpful and i will be remembering all those tips. Great hub, very informative - Thanks for posting!! Hello my neighbor, Hollies Page. This SE Pennsylvania pocket we live in presents gardening challenges. We don't have particularly fertile soil (more clay and rock than anything else in most places), and first and last frost dates are never predictable and neither are drought and flood. While we might be, by the book, a zone 6 or 6A, we also have micro-climates influenced by hills and valleys and waterways, all of which we have aplenty. Thanks for your good words, and welcome to HubPages! It's getting to be that time of year again. Thanks for the fantastic information. Rated this one up!! Thanks for reading and commenting, shayana mack! Great hub and this information is very useful for everyone. and such a useful tips for preparing indoor plants. Josh, glad this Hub is helpful to you. Thank you for the good words, and welcome to HubPages! Wow! Simply amazing. I also love plants and gardening. When winter comes, I do have a problem on how to make my plants healthy during winter season. Thank you for your hub. I have now a great idea on how to maintain healthy plants during winter. Thanks! Glad you found this useful, dusy7969. Great hub.This is very interesting and useful information shared here.You posted the great tips.So Thanks a lot for this amazing sharing and keep it up. Micky, you'll be well-prepared for next year, having 10 months to re-read this. I hope you didn't lose your plants! Thanks so much for the good words. Great post! Buttons up! I just wish I had read this two months ago! You lucky dog, you, Holle. You get more frost-free days than we do! Glad you'll be using the tips. Great info, and perfect timing! I'll be using your tips! My mother loves plants, too, flinsura. Buying, planting, and taking care of them are activities we enjoy together. And thank you for your kind words. Wonderful hub! I have one little plant I want to bring in for the winter and will follow your instructions. It is a succulent, Brown Beans is it's name. The only pests I see in the soil are gnats. Will the soap spray work for them? My apartment is small and I do not have a south facing window, so I am hoping my morning sun window will be sufficient for my plant. It will get about two hours of sun and all day bright light. Hope it works. Great tips, thank you. I will be following you. Glad you find these tips useful, lender, and I do hope they help you enjoy your houseplants indoors this winter. Thanks so much for reading and commenting. Excellent tips! Now I can see why so many of my plants have died in the past when I've attempted to bring them in. Perhaps I'll have a bit better luck next time. alertswiftreview, thanks so much for reading and commenting. 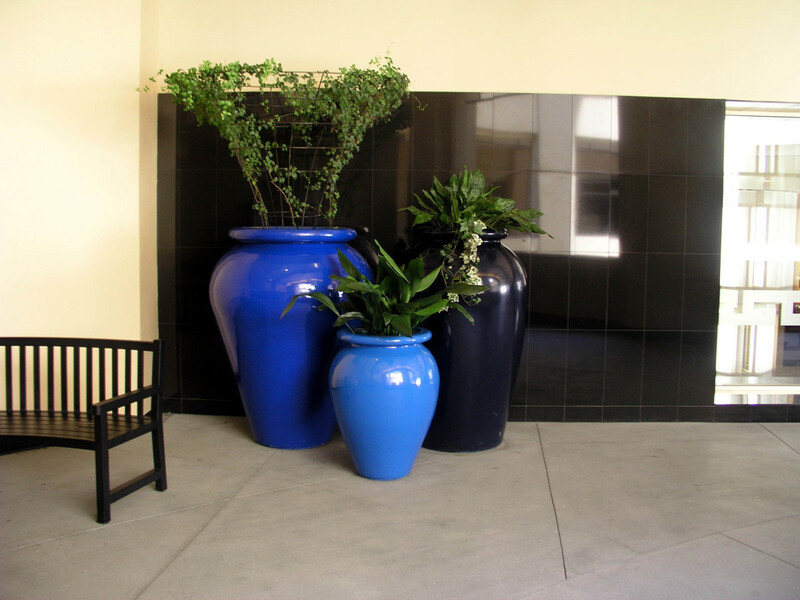 Managing plants indoors so that they remain attractive and healthy can be quite a challenge! Thanks for the tips as i always looking for planting the various types of plants in my apartment and this hub really helps me alot in my work. tdarby, if the fig is planted in the ground (not in a pot above the ground), you can wrap it in black plastic just before the first autumn frost and remove the plastic just after the last expected spring frost. I don't know where you are, but US Zone 6 gardeners have success with this practice. Good luck! Good tips. Thanks. This year I am going to bring my fig tree in. It is supposed to survive down to 10 degrees, but I don't belive it. Not based on last year's near death experience for the fig. You are welcome, Patricia Rae. One additional thing you will want to do with those ferns is to mist them often with a soft spray of water, maybe once a day. Ferns HATE the low humidity of a winter indoor environment. Thanks so much for reading, commenting, and adding value to this Hub. Thank you for this info. I have 2 beautiful ferns in hanging baskets and I'd hate to loose them over the winter and have to buy new. I'll be definitely following you advice. Thanks again. You lucky dog, you. You live in Florida! And so those house plants have a good success of survival if they aren't killed off by a rare frost. I've seen all kinds of pests wanting to come in with the summered house plants (mentioned above), but a snake was never one of them. If I'd seen a snake in a pot, I don't know what I'd do! Good article. I always have good intentions about bringing my plants indoors for the winter, but never seem to get around to it before winter sets in. But they always come back to life in the spring anyway, so i can enjoy them for another year. I kinda stopped bringing them in after inadvertently bringing one in with snakes in the pot. That was too great of a surprise for me. LOL. Lisa, I don't know whether to laugh or cry at your comment. It seems you are accepting of this state of things, and there's a bit of humor in that, but maybe you'd rather it were otherwise. Perhaps some of these tips would change the fate of the next prospects? Useful Hub. Every year I pretty much bring in my plants with the idea that they're essentially on "death row". They live for awhile, but by December they're spindly, yellow, sticks (or something along those lines). I actually do have one hanging in the kitchen window that survived since it was brought it five Falls ago. Other than that one, they usually pretty much die. Yeah, that avatar is my real life buddy...and oh so photogenic with a personality to match! As always, such a well-written and informative Hub ST, alongwith some lovely pictures. You are truly a fountainhead of knowledge on a vast variety of subjects. Thanks for reading and commenting, Scribenet. Love your avatar. I want that kitty! I've bookmarked this one! So much information! I will be back rereading this! Mulberry, that is fascinating about the annuals. I've done something similar with hosta and mints (perennials), with good success, but never with annuals. Sounds like my garage has conditions like yours, so I'm definitely going to try the annuals. Thanks so much for the additional tip! This is great information. It's hard to believe but it's almost that time of year. I have had the experience of planting annuals, cutting them off after the frost, bringing the pots into my garage for the winter. Little light and below freezing temperatures at times. Then in the spring have the annuals return (much to my surprise). Thank you so much for the compliment and the link. (Always happy to have done something called brilliant.) Let me know the garden Hub, and I'll insert a link to it from this Hub. Have fun getting your plants indoors! This is brilliant! We will put up a link from one of our Garden Hubs (hope that is okay with you). This is also a reminder that we need to get our indoor plants back indoors. kgnature, you are so welcome. I know what you mean about too many plants and not enough windows. Over the last couple of years I've culled my houseplant population, leaving only those plants that can live happily in low light. I don't have even one south-facing window! Thanks for reading and leaving the good words. Thanks for sharing. I have too many plants/not enough windows, plus a serious lack of humidity, so I rarely bring things in anymore. This is great information, thanks. Glad you enjoyed the tips, Carrie. Everybody loves--and needs--a bath! I saw your Hub request about bringing herbs indoors. I'm going to give that some thought, because it's something I don't do, which is not to say that it can't be done. More later. Thanks for these great tips. I have akways washed my plants before bringing them in for the winter but I had no idea that I was actually benefitting them by doing so. Sally, I was going to write one on bringing in the tropicals, but was distracted by something else. HP is such a great place for the ADD set! I know what you mean, Dolores. It IS a lot of work. About storing tropicals dry root, I think a lot of folks would like to know about this...maybe a Hub for you in the future? Thanks so much for the vote and the good words. Sally - I voted this one up for the great, detailed instructions. I no longer put my houseplants out, it's way too much trouble. And the tropicals that I do put out, I just store them dry root. Well dear friend, another wonderful, educational hub. Which reminds me, Jess and I need to come pick up her lambs ears :) She had a wonderful time enjoying your gardens and learning about the different plants. FlyingPanther, love that image of leaves taking "a fall for fall"! Thanks always for reading and commenting, my friend. idiot2death, thanks for the vote, fellow gardener! Jill, you are so welcome. I'm glad you enjoyed this Hub. Your comment reminded me that many of the houseplants we enjoy, but must protect in our homes during winter, are probably either native to your area or at least naturalized there. I'll never forget being in Florida a few years ago in the winter and seeing the Moses in the Bulrushes plant growing freely in roadside patches. I had to work so hard to keep mine healthy, but there they grew like weeds! Although we don't need to bring plants indoors because we don't have winter here, I still enjoyed learning from this hub Sally. 8 years ago from I am here! I always love to see the beautifulness of nature, that's why gardening is my favourite hobby. Vote you up! 8 years ago from here today gone tomorrow!! Sally, Great hub as always.I my self aint ready to let go of the summer at all as I watch the leafs take a fall for fall. Steph, I shiver at your news! Our average first frost date here is October 15, just a short five weeks away now, and I hate to see it come. Jerilee, you bring up a good point. Most of us "up north" tend to think of all of Florida as a tropical paradise. But Florida has many areas that do experience frost, and all it takes is one light frost to do a lot of damage to a tender plant. Here, bringing houseplants indoors for the winter means adapting plants to an alien environment for approximately six months, but in your area perhaps bringing in tender plants for a two-week period is the opportunity to do some of that cleaning and inspecting, and probably pruning and propagating! 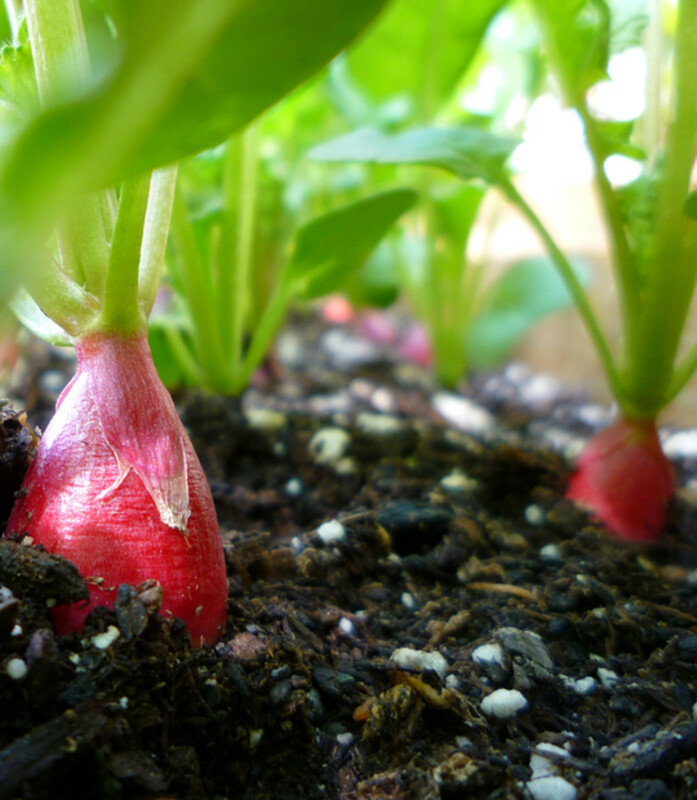 An excellent topic for gardeners, even here in Florida we sometimes have to bring our plants in for the winter (usually about two weeks) or at least offer them a blanket in our rare below freezing point nights. Audry, you are lucky indeed. I used to have a sunroom with skylights in which all kinds of plants flourished during the winter, often much to my surprise. But you are right, you have to know how to keep them alive, and not all plants respond the same way to the same conditions. It's a matter of knowing your plants and knowing your environment, too. How fortuitous that you published this hub? I live in the high desert region of Oregon and we have such a short growing season. The thermometer has dipped to freezing a few times already over night. Excellent tips for gardeners and others who love plants. 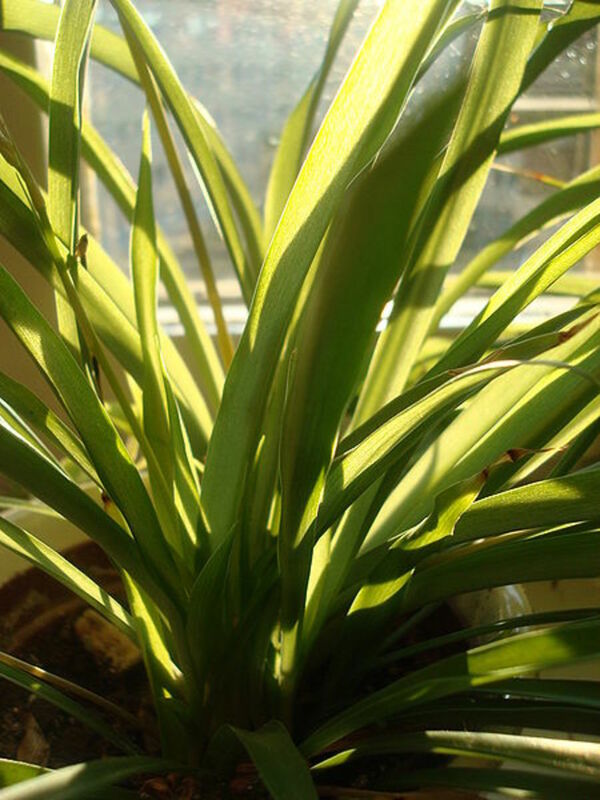 Great tips and love the pictures....I'm so fortunate to have so many windows here and so much sun but even so, you have to know how to keep them alive! Thank you for your kind and supportive comments, viking. Hope these tips work well for you. Great information on this hub and I will certainly take your advice. I love my plants and want to do all there is to protect them. Yes, and there are many incidents where foster care agencies have engaged kids in caring for plants and vegetable gardens which have in turn aided them as they dealt with stress, gangs. These kids developed a more nurturing personality, and increased their attendance to school. Who knew? What about step #11, get daughter to carry heavy pots inside for you? Ready when you are! Love you, love your hubs. Samsons1, thanks so much for reading and leaving your good words. And voting, too! H,h, I'm always so pleased that you stop by to read and comment. Thank you so much! Neil, do you mean to say that, after working alongside your wife and observing her skills, your black thumb hasn't greened up just a little bit through all the years? I don't believe it. I think you are too modest. :) Thank you, my friend, for your always warm and supportive comments. You never cease to put a smile on my face. Marisue, I very much like what you had to say about foster children. And your words make me think about teaching a youngster to swim. There's a huge difference between throwing him off the dock, and patiently letting him acclimate himself with your guidance. In the first instance he may drown or at least fear water for the rest of his life; in the second he may blossom into a champion swimmer. A garden is just one big metaphor, isn't it? Thank you for your great tips and well written hub. Oh My, I see many mistakes I've made in the past. There is so much wonderful info here, I will re-read and print off for a reference and I bet many others will as well. I love the Christmas cactus flower and I'm sure I would have re-potted the aloe, but your tips make sense. It reminds me of parenting foster kids...their new environment was shock enough, so we phased in the "re-potting" as gently as we could as they grew in strength to change. That's true of any of us really. When we first moved back to Oklahoma, being in a strange house left us feeling lost. I quickly brewed coffee, and lit a candle, doing something to bring in familiar aromas. We can learn a lot from handling plants, and nurturing them, and then applying those skills to our lives and caring for others. Once again, you published a hit!